Will Birdman take flight at the Oscars? Birdman: The Unexpected Virtue of Ignorance, was the strangest film I’ve ever seen, and I’ve seen strange. I’m not counting bizarro sci-fi flicks, like Mesa of Lost Women, about a mad scientist who injects spiders with human growth hormone to create a race of beautiful women, or David Croneberg’s Videodrome (David Cronenberg, ’nuff said). Those films are in a strange category all their own. Birdman falls in line with more mainstream films such as Ed Wood’s Glen or Glenda, Barton Fink, Mulholland Drive, and Donnie Darko. Strange films geared toward a general audience. That’s where Birdman feathers its nest as the strangest of them all. 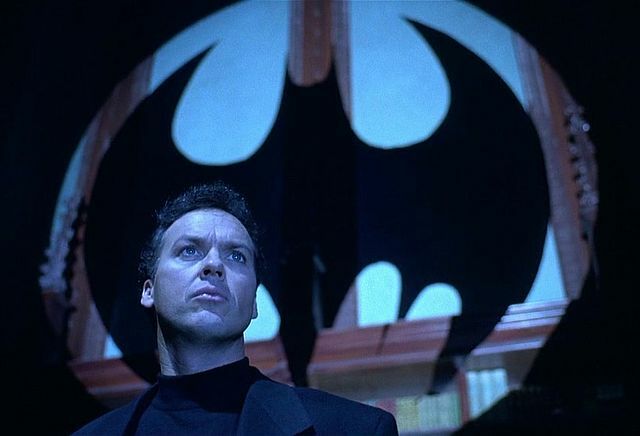 Michael Keaton and his Batman alter ego. From one minute to the next, I could not tell where things were going in this film. And that’s a good thing. I admire and appreciate films that surprise me, keep me guessing. When they completely fool me, I’m in awe (Psycho, Planet of the Apes, Fight Club). Birdman does that. I’m still not exactly sure how to interpret the ending, although I’ve heard a couple interesting possibilities. In any event, no spoilers here. Just a recommendation to go see Birdman, especially if it is flying about in a movie theater, because this is a big, bold film, with an audacious drum score, that really opens up on the big screen. 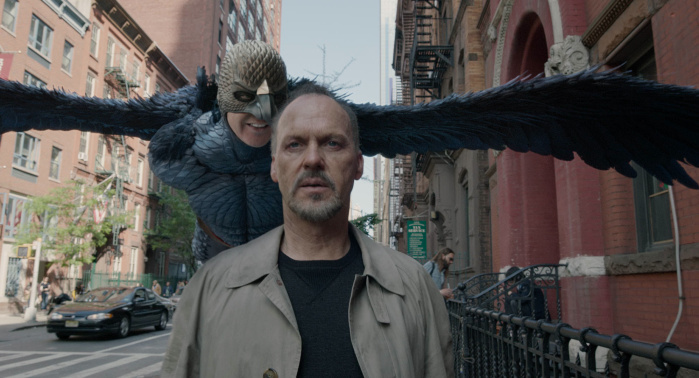 As for the Oscars tonight, I’m cheering for Birdman to get Best Picture and Michael Keaton for Best Actor. Keaton said on a talk show that he doesn’t consider Birdman a comeback because he never went away. Well, you did fly off the radar for a long time Mr. Keaton, but now you’re back to roost.